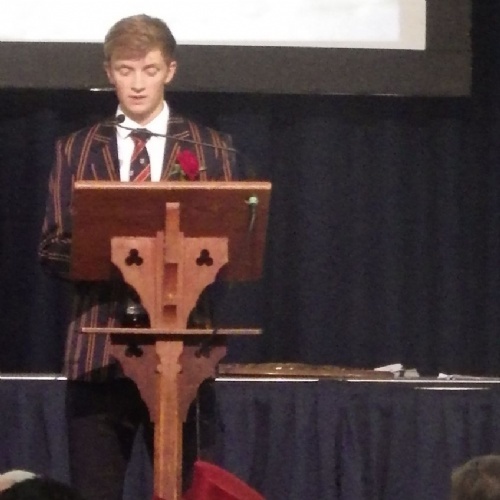 Ben's Prize Day Speech July 2017. 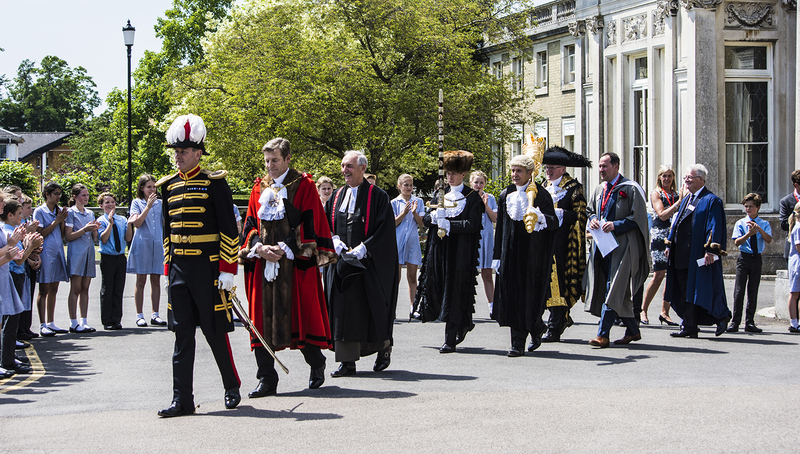 "Lord Mayor, Governors, Headmaster, esteemed guests, ladies and gentlemen, fellow students. Having had the experience of 11 Prize Days over the years, I have started to come to terms with what a good speech requires. Charisma, plenty of wit and a silky way with words seem to be key – all things that my friends politely inform me I have very little of. So therefore what this speech may perhaps lack in grandeur or memorable lines, I hope will be made up for by my sincere gratitude and appreciation for what this school has done not just for myself but, I very much hope, all my fellow U6th students too. It seems fitting to begin this speech about the Junior School, as this is where many of the students in this hall were lucky enough to start their Freemen's’ careers. In fact, to be exact, it really all began with the dreaded entrance exam all those years ago in January 2006 - parents will no doubt remember it well! And whilst I think this has been said in every speech since I can remember, the Junior school could not have provided a better start at Freemen's for us all. Be that through the friends we made, the lessons we learnt or the opportunities we were given, it gave us the chance to explore all aspects of our early lives. Similarly, progressing up into the senior school and Sixth Form introduced us to a different side of the school – one with much greater independence and responsibility placed on ourselves. As the stress of public examinations loomed, we could safely go into them knowing that, as long as we gave them our all and put the necessary hard-work in, we could not have been prepared better for them by this school. Now Amelia, being blessed with the brains out of the two of us, will talk about the academic side of school life in more detail, giving me the opportunity to reflect more on the extra-curricular activities – in particular sport. Indeed, sport has been an integral part of all our lives throughout Freemen's and the opportunities provided here have allowed students of all ages, interests and abilities to take part. As a school, we consistently punch above our weight on the playing fields, testament to not just the character of the Freemen’s sportsmen and women, but the dedication and hard-work put in by all our coaches. We are spoilt here at Freemen's, with coaches that go above and beyond what is expected of them and every student should cherish the guidance they give. I truly believe that there are few other things in the world that can better teach people at such a young age, about the value of commitment, teamwork, drive, determination and respect that sport engenders. Fantastic attributes to take into the working world outside of school. And we have also learnt how to win with good grace and on the ever so odd occasion when we did happen to come second best, lose with dignity. Moving on, to my peers in the Sixth Form you are one of the very major reasons why my time at Freemen's has been such a joy. Your friendship and sense of humour have been invaluable in what, for all of us, have been some of the most stressful periods of our lives. As many of us hope to go to university it is inevitable we will go our separate ways, but that does not mean our friendships will end. Stay in touch with one another and remember – if things don’t go to plan, be that with exam grades, future job applications or any other setbacks, life still goes on. Work as hard as we have done throughout school and keep the sense of humour we have grown to love in hard times – all things I know we will do and for which reason, I can honestly say, I am proud to be a member of such a fantastic group of people. But perhaps the most important thanks go to the people who have made this experience possible – our parents and teachers. Parents, your support over the years has been invaluable to us as students, particularly as the stress and pressure of school increased in our later years. I for one know that I may have become ever so slightly tetchy over the exam period, but my parents support, as I am sure was the case for every single one of us, was crucial for helping me to get through it. And that is the note that I would like to leave on today. Throughout this final year I have wondered what I will miss most about Freemen's. Definitely the beautiful grounds and superb facilities, but it is the people who I will miss the most. 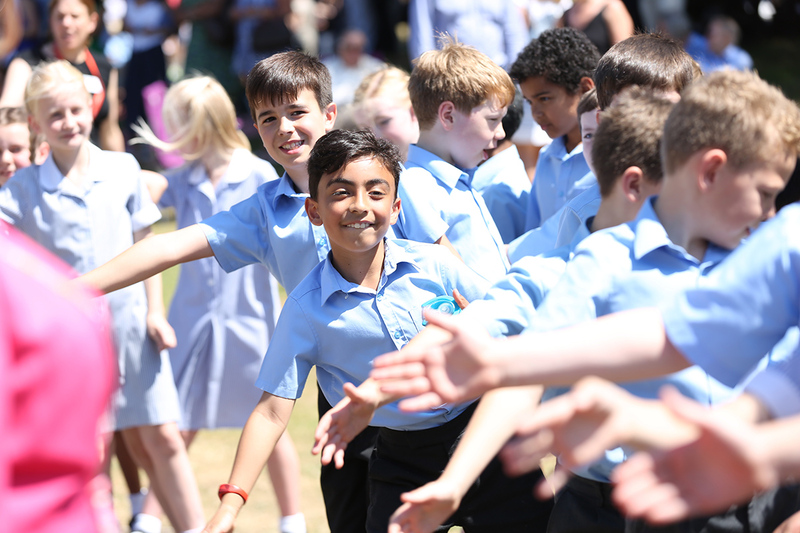 Teachers, students and all other members of staff are what make this school so special and will continue to make it special for future students in the years to come. Thank you parents for making this incredible opportunity possible and thank you Freemen's for making our school life so memorable. As the late Sir Roger Moore would have said – nobody does it better!"